Our lawyers conduct cases of return of children in case of their illegal movement to Russia. When international marriage is broken, there is one important issue: «Where will children live». This question can be solved in a civilized way - via conclusion of a treatment between parents or under a judge decision. But some parents choose illegal ways. They are in violation of the rights of the second parent take the child to his country. Normally the state gives preference to its citizens and a conscientious parent finds himself in a difficult situation. To change the situation, most countries have joined to the Hague Convention on the Civil Aspects of International Child Abduction. Russia ratified the Convention in 2011. Under the Convention affected party can to demand from the state to which the child is illegally transferred to guarantee the return of the child, to make it possible the implementation of the rights of access to the child. Parent or other guardian whose custody rights have been violated, count on the help of Russian authorities and lawyers. If the child was moved to the Central part of Russia, the lawsuit must be logged to the Tverskoy district court of Moscow, and if the child was moved to Siberia, the lawsuit must be filed in Central district court of Novosibirsk. Our company has headquarters in Novosibirsk, and representatives in Moscow and other cities. If the place of stay of the child in the territory of the Russian Federation is unknown, the application for return of the child or for implementation of the rights of access moves to the court on the last known place of stay of the child in the Russian Federation or on the last known residence of the defendant in the Russian Federation. According to the Convention, the claim may be filed within one year from the date of the illegal transfer or retention of the child. The missed term may be renewed by the court for good cause, for instance when a plaintiff didn’t know where the child was moved. Under Russian laws, the plaintiff can apply to the court to secure the claim. Before the case will be considered, the court can prohibit the defendant to change the place of stay of the child and temporarily limit his departure from the Russian Federation. In accordance with article 11 of the Convention, the application procedure should proceed as quickly as possible. If the court has not considered the case within 6 weeks, it must explain the delay. Normally the court appoints a psycho-pedagogical expertise. This is necessary to know whether the child has adapted to the new place of residence and whether the child will not be adversely affected by his return. The representatives of parties can suggest issues for the expert and suggest an expert institution. If you need help in returning your child from Russia, please contact us by e-mail: novosibirsk-lawyer@yandex.ru or ravnovesie-buro@yandex.ru. 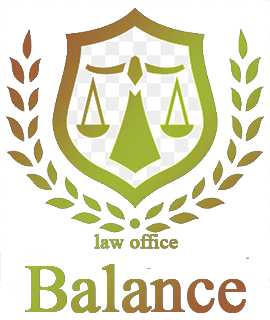 Law office "Balance" provides qualified legal assistance on family issues in Novosibirsk. Law office "Balance" provides qualified legal assistance on housing issues in Novosibirsk.